There is a need to further promoting systematic collaboration between multidisciplinary scientists, engineers, industrial practitioners as well as public as a whole for rapid advancement in research, development, innovation and commercialization in science and technology. Such ambition requires collective efforts and participation from all stakeholders. With this aims in mind, United Scientists and Engineers International (UniSE International) is again taking its initiative to organize the International Congress on Science and Technology for the second time to further promote effective linkages among scientists, engineers, industrial practitioners and public in general in the cross-disciplinary of science and technology. 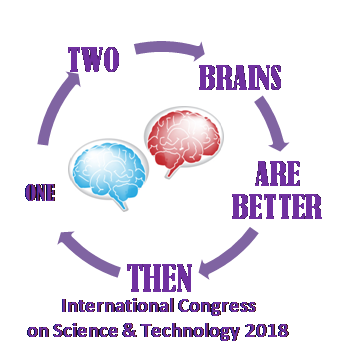 International Congress on Science & Technology 2018 is the second in the series following the success of the first ICST last year in Bali despite the uncertainties situation for to the possibility of Mount Agung eruption. We were lucky that it didn’t. Presented papers comprises from the field of physical sciences, earth and environmental sciences, biological sciences, environmental engineering, medical biotechnology and agricultural science. Papers from the conference were published in Transactions on Science and Technology journal. ICST is organized yearly along side with International Conference on Science and Natural Resources (ICSNR) but at a different month. Although ICSNR and ICST was just at its beginning, we have seen the success outcome where these series of conference and congress have helped to establish strong collaboration between two participating groups namely animal conservation and communication physics group. The animal conservation group has been looking for a lower cost but reliable tracking device for their activities. Knowing this, one communication physics group has offered to develop radio frequency tracking device and camera trap for animal. The prototypes of these devices are now at its final stage of development and soon will be made available for testing. We hope to help in establishing more collaboration between participants of the congress. As of now, we are eager to hear research progress from last year’s ICST presenters as well as to learn new research advancement from other researchers around the world. Come and join us at 2nd ICST 2018 at the beautiful island of Phuket this December.